Bella Hardy - sold out! All tickets for "An Acoustic Evening with Bella Hardy" in May are now gone. Easter Saturday saw the opening night of Downend Folk Club, with Sheffield-based trio Bright Season drawing an audience of around 100 people to Christ Church Downend to hear a mix of Scandinavian-inspired melodies, traditional English ballads and a little bit of Billie Holliday thrown in for good measure! At several points during the evening, the audience were roused into joining in and lending their voices to a few sea shanties, with Bright Season’s own three part harmonies leading the way with a powerful intensity. Particularly memorable was the atmospheric interpretation of “Strange Fruit”, a jazz song from the late 30s that poignantly exposed Southern racism and lynching. 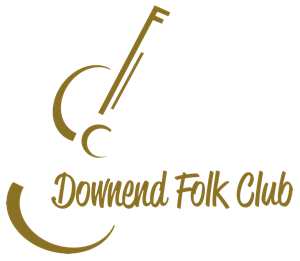 It was an evening with a great range of textures offering a broad palette of different flavours from the world of folk music; a very appropriate introductory evening for Downend Folk Club and a great experience for all who went. All photos by Chris Dobson. Used with permission. This Saturday (19th April), Downend Folk Club throws open its doors for the very first time with a concert by the fabulous Bright Season. 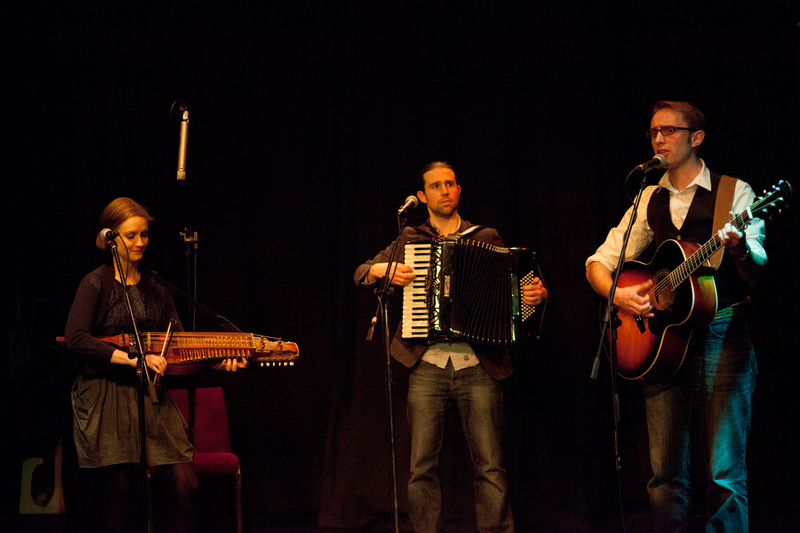 Bright Season, a traditional folk trio based in South Yorkshire, bring together influences from the traditional music of England and Scandinavia to deliver foot-stomping tunes, dramatic ballads and heart-warming harmonies. 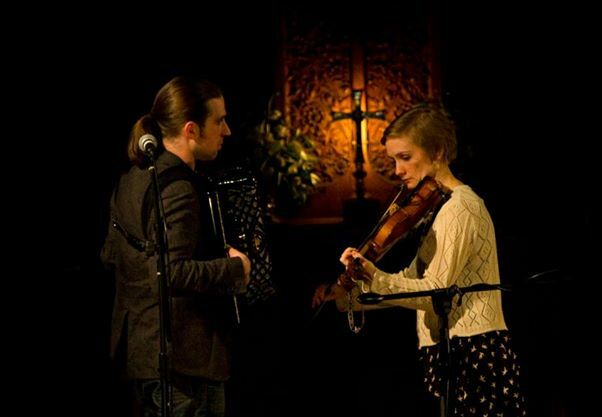 The trio formed in 2013, merging the talents of singer and guitarist Michael J Tinker, fiddle-player Ella Sprung and accordionist Simon Dumpleton. Together they perform traditional and self-penned songs and tunes, displaying their own individual gifts and combining to deliver stunning arrangements and harmonies. Included in their set are traditional ballads such as 'The House Carpenter', a cappella arrangements of 'John Ball' and the 'shape-note' song 'Africa' and also tune sets drawing on influences from European folk. This is particularly brought to the fore with Ella's Nyckelharpa. 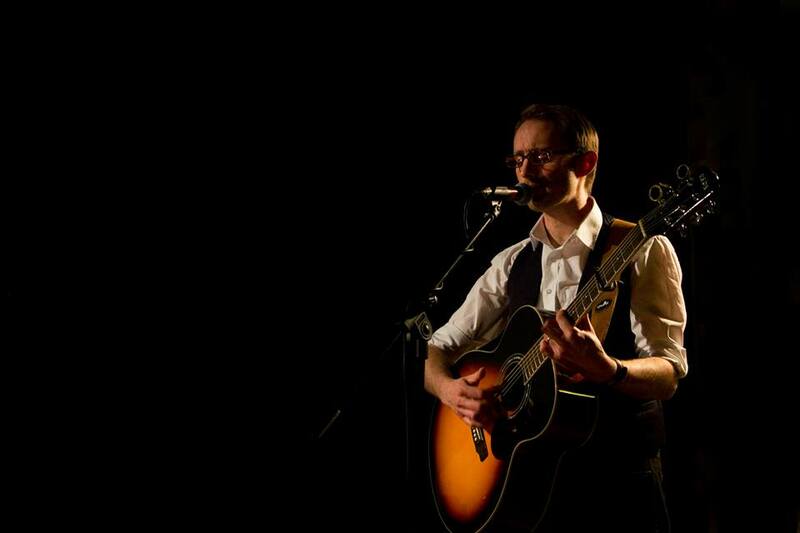 Michael J Tinker has performed and recorded with Damien O'Kane (Kate Rusby band) and Katriona Gilmore and is currently working on a collaborative project with Bella Hardy, Josienne Clarke, The Young'uns, Tom Oakes, Ian Stephenson and Jon Boden. In addition he has supported Bellowhead, Lucy Ward, Sam Carter, Maz O'Connor and many more. Ella Sprung is a fiddle player, singer and dancer. She specialises in French, Breton, and Scandinavian folk music, and performs with European folk dance band Trip the Light and folk groups Gallivant and Jack's Rake. In addition to playing the fiddle she also plays the Swedish Nyckelharpa. Simon Dumpleton is a multi-instrumentalist who has performed with numerous people including Kirsty Bromley and in the ceilidh band Trinculo. He has recently produced recordings for Jess and Richard Arrowsmith, Hekety, Outre Manche and the Melrose Quartet. The concert in Downend is being held at Christ Church before we move to our new home at Frenchay Village Hall in May. Advance tickets are no longer available, but you can buy tickets on the door for £10. In addition to the concert, you'll also be able to get hold of Bright Season's brand-new CD, while copies of The Living Tradition magazine and Downend Folk Club pin-badges will be on sale. There will be a raffle with some great prizes, and light refreshments will be available to buy (please note that there is no bar at this event... but we'll be putting that right in May!). We're very excited... see you there? Fancy a pint? Folk Club to sell GWB real ales!